For travelers flying the friendly skies with their furry friends, getting to a faraway destination can sometimes be a challenge. To help pet parents navigate through many air travel pet policies, Petfinder.com released its annual review of pet-friendly airlines which outlines the best options for traveling in-cabin with animal companions. Most Pet-Friendly Overall: Pet Airways. Dedicated to providing a superior travel experience for animal passengers, the first-ever pet-only airline tops the list for this category due to their outstanding policies and first-class treatment of pets. Because Pet Airways only flies out of several major airports, Petfinder.com reminds pet parents to drive or fly their furry friends in cabin on commercial aircrafts until Pet Airways comes to a nearby city. Best Amenities for Pets (and Pet Parents): JetBlue. For the second year in a row, JetBlue’s superior JetPaws program landed the airline in top place for the pet-friendly amenities category. The customer-focused airline provides travelers with a pet carrier baggage tag, a travel “petiquette” guide, 300 TrueBlue points each way, and a comprehensive e-booklet with pet-friendly hotels, restaurants, parks and animal hospitals in some of JetBlue’s major cities. Best for Transporting Pet Variety: Frontier Airlines. Frontier allows the most diverse variety of pets in cabin, including domesticated dogs, cats, rabbits, guinea pigs, hamsters and small household birds. Best for Budget-Conscious Consumers: WestJet. Included in Petfinder.com’s review for the first time, WestJet tops this category allowing small dogs, cats, rabbits and birds to travel for $50 each way in-cabin. 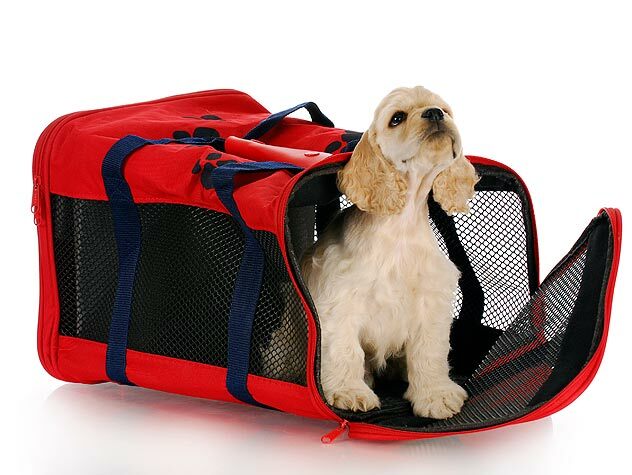 Coming in a close second, AirTran Airways allows domesticated dogs, cats and birds to fly in cabin for $69 each way. Best for Flying Multiple Pets in Cabin: Frontier Airlines. Another exceptional airline in this year’s review is Frontier Airlines which allows up to 10 pet containers on each flight. 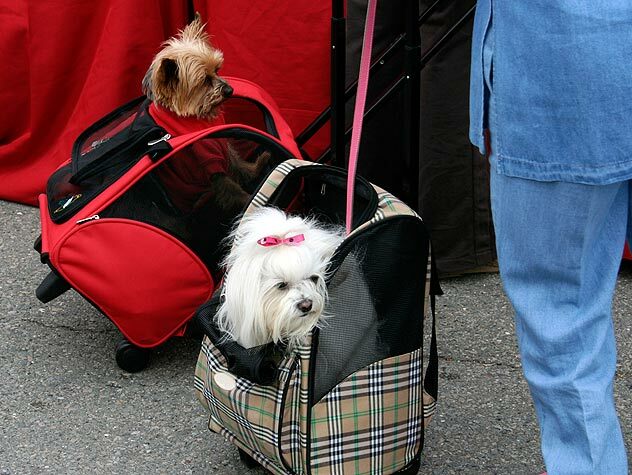 While only one pet container is allowed per person, if you have nine other human friends traveling with you, the entire group can travel with up to 10 small four-legged friends. Remember to book your reservation in advance so the whole family can fly together! Best for Big Furry Friends: Pet Airways. The only airline with a sole clientele of “pawsengers,” Pet Airways can accommodate some of the biggest pups in town, as well as smaller animals such as cats, rats and guinea pigs. With the maximum height allowance being 34 inches from the floor to the top of “pawsengers’” shoulders, pet parents of Mastiffs, Newfoundlands, Great Danes, Great Pyrenees, and all those mixed breeds in between should rest assured that their colossal canine can fly comfortably.